NEW ALBANY –Senior Alan Dodson has become known as “the parking lot warrior,” not due to his noticeable speakers that set the rhythm for Northridge students each day but because of an act of heroism at work on March 27. While on his break from Abercrombie Home office, at around 11:15, Dodson was sitting in his car. He reportedly witnessed an unnamed male and female arguing in a shuttle hut. He looked down and back up and said the guy “grabbed her at her chest and slammed her on the ground.” Dodson did not think the fight was real. He recalls thinking it was a joke. The boy began to run off and the girl followed. After much running, the two were at a car. The male grabbed a skateboard and raised it as if he is going to hit the female. The male ended up slamming the girl against the car and she falls to the ground. When she got up, the male allegedly put her in a choke hold and threw her to the ground. At this point, Dodson had had enough. Dodson ran towards the fight and “tackled dude in between cars”. While holding him down, Dodson told the female to go get security. While he is waiting for help, the male was fighting and trying to get out of Dodson’s hold. To avoid the male escaping, Dodson took off his belt and uses it to tie the male’s hands together. Security arrived shortly after. Dodson turned the male over to the authorities and returned to work. He told his manager about the incident and soon learned the male and female arguing were from the nearby Hollister office. The New Albany police arrived and asked for Dodson’s side of the story. The cop asked, “What was the reason you felt the need to get out and do something?” Dodson’s reply: “because my dad raised me better. You don’t put your hands on a female. And you’re not a man at all if you stoop that low to hurt a female”. There was an incident report filed, but no charges were pressed according to the NAPD. The female victim is just 18 years old and lives in Marysville, Ohio. The suspect was not identified in the incident report. Sierra Sullivan ('14) is the Junior News Editor for The Viking Vault. photo caption: The Parking Lot Warrior showing his real self, always smiling. probably listen to those instincts. suppressant. Besides, your body actually needs water to burn fat. day. The adequate intake for women is slightly above two liters. that works for you and stick with it. losses by eliminating certain foods from your diet, but they are hard to follow. nutrients and vitamins it desperately needs. complex carbs, and enjoy simple ones as an occasional treat. cardio exercises such as jogging. NORTHRIDGE – Starting in the 2013-2014 school year, Northridge High School will be offering a Computer Information Systems class for incoming juniors and seniors. This class will be offered first and second periods and will be open to third- and fourth-year students who are interested in a career involving computers. The class will be offered through C-Tec in collaboration with Johnstown-Monroe and North Fork Local school districts. Northridge will be hosting the program. While students from any schools in Licking County are invited to apply, priority will be given to students from Northridge, Johnstown, and Utica high schools. In order to enroll, applicants must fill out a C-Tec application and meet the minimum standards of acceptance. Applicants must have at least a 2.0 GPA and have successfully completed Algebra I. The goal of this class, according to Director of District Services Jenny Evans, is to prepare students for either college or a career in Information Technology. There are many different career options within this field, including computer programming, software design, troubleshooting, and web development. 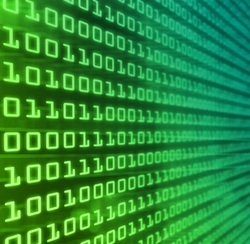 The class covers subjects such as software applications, interactive media programming, software development, and computer repair/networking. Systems included in the curriculum include Windows, Linux, Dreamweaver, Flash and imaging software, as well as software and hardware design; operation and maintenance; network management; database administration; and information systems analysis. The program should touch on all of these aspects in order to help students narrow down their interests within the field of Information Technology. This course is a dual-enrollment course, meaning students are earning both high school and college credits for this class (provided that they meet the requirements). Students who successfully complete this class will leave with college credit, through either the dual-enrollment or the articulated course programs. The program also plans to offer a professional certification in the computer field. This is a class that has never been offered at Northridge before, so it will be an opportunity for the district to delve into new territory and for students to learn new skills to help in their future. 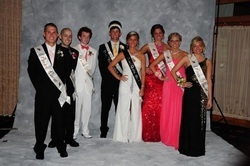 NORTHRIDGE- Held at the Cherry Valley Lodge in Newark, both prom and after prom were a success. Before the whole thing started, many guys and gals took the day to get ready. Which for the girls it included: hair, make-up, nails, and getting their dresses prepared, and for the guys: getting their tuxes and that’s probably pretty much it. After everything was finished, most people started to get their pictures taken. So many great views were chosen for the pictures to be taken such as Dawes, the winery in Croton, and even houses with great backyard views. Once everyone arrived in their cool cars, the first thing most people did was take pictures inside and outside of the Lodge. After that, all of the prom-goers signed in and went into the ballroom and were seated for dinner and the crowning of the Prom Queen and King. At 7:15, anxious but ready, the Prom Court walked in pairs to have the D.J read their not-so-serious senior bios. Once everyone was out into the dance floor, the DJ called out Taylor Mann and Gavin Kyle as the Queen and King. Right after the crowning, dinner was ready. Everyone was released by tables and sent into a buffet room for their food. Salad, chicken pesto, tortellini, rolls, and desserts were all set out on the table, and tea or water were the beverages served. After everything was cleaned up, the dance floor was open and the lights went down, it was time to party. It took a little bit for everyone to get out there, but after the ice was broken the floor was filled with people, strobe lights, club lights, and even a music video screen for everyone to see. At 11 pm, the dancing was over and the swimming was ready to begin. At the CoCo Key Water Resort, two regular slides, one two-person slide, a small waterpark, two hot tubs, a lazy river, a water-filled basketball court and many more activities were there. After a couple of hours, when people were well worn out, pizza and drinks were given inside of the concession stand. Once about 1:30 am came around mostly everyone went home. Considering all the fun that was filled in those seven hours, people were ready for bed. NORTHRIDGE – Students at Northridge High School participated in a mock drunk driving accident on Wednesday, May 8 in hopes of influencing decisions made at prom. The mock accident was a set-up of two cars that appeared to be in a head-on collision, one car filled with happy prom goers and the other with two drunk teenagers. In the first car, donated by Sierra Sullivan (’14), “victim” Madison Royer (’13) was the easiest to be seen. She was lying out on the hood of the car with glass smashed around her, acting dead. In the driver’s seat, Travis Hammock (’13) shook her, trying to wake her up. He was taken out of the car by the first responders from Johnstown-Monroe Fire Department. Behind Hammock and Royer, Hannah Shank (’13) was taken out of the car, as well. Her “date”, Ryan Johnson (’13) was unharmed by the accident and stumbled out to make the first 911 call. The scene was set up by the Student Leadership class, headed by Mrs. Grow. The hope was to stop teenagers at prom from choosing to drink and drive and possibly harming innocent people. The car filled with prom goers had the roof and doors cut off in order to get Hammock and Shank out. They were carried away on stretchers to the squad. Royer was taken out in a white body bag and stretcher by the Crouse-Kauber-Sammons funeral home. The mock accident ended in a note from Mrs. Royer, study hall monitor. The note was about how her daughter Madison was the “light of [her] life” and how much she missed her deceased daughter. 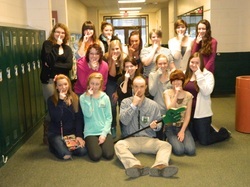 “The note from Mrs. Royer was a nice touch” Kaitlin Garee (’14) comments. The students at Northridge ended this impactful scene with the voice of Gavin Kyle (’13) who was asking his fellow classmates to think before they act. “It was a great success” says Mrs. Grow. “We would like to thank the Ohio State Highway Patrol, the Crouse-Kauber-Sammons funeral home and the Johnstown-Monroe Fire Department for participating.” It would not have been possible without them. Sierra Sullivan(’14) is the Junior News Editor for The Viking Vault. photo caption: The mock accident scene before rescue came in. A.P. U.S. history is taught by Mr. Wentz for juniors and seniors, and the goal is to prepare every student to take an advanced placement (A.P.) test in the spring. The test is scored from 1 to 5, with 1 being comparative to an F, a 2 a D, and so on. The goal for many of the students was to attain college credit for the class, and aforementioned credit was given out based on test score and the decided threshold of the college. Ohio State accepts a 3, and most Ivy League schools only recognize 4s and 5s. Given a successful grade, classes can be surpassed on the simple merit of a good test score. The test itself cost $81 dollars, but the long-term investment is surely worth the price. The material ranges from the colonial era to the Bush administration and everything in between, and Mr. Wentz did a great job of getting through almost all of it. This was his first year teaching the subject after taking the reins from Mr. Snedecker, who had taught the class for years. The meat of the class was centered on writing “DBQs”, or document based questions. The questions often asked about analyzing a time period, or the reasons why an event occurred. The question is followed by many documents and visual tools that help in answering the question; requiring the student to reference the documents to back up their argument. With every chapter test a practice DBQ was also issued and graded, in hopes of the students eventually mastering the written portion of the actual A.P. test. Most of the students in the class wound up taking the test in May, and most of the students are awaiting results eagerly. Junior Brandon Eckstein had this to say on the class and the test, “I feel like we’re all well prepared for the test, and hopefully I can luck out and get a 4 or a 5”. We’re all pulling for you Brandon, along with the rest of your classmates. Tony Shore is a staff writer for The Viking Vault. Ms. Anderson gets a surprise! 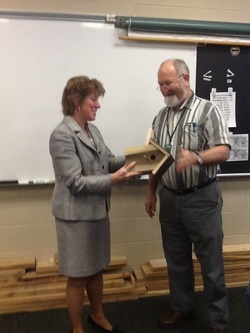 Mr. Vanwinkle's class surprised Ms. Anderson last month with a home-made bird house. The class produced individual bird houses as a project to learn measurement. Since this project, Mr. Vanwinkle said he has received reports that his students are out "measuring and adjusting" in the world! Photo by Mat Scott. Warmer weather means Prom is on its way once again. This year’s festivities will be held at the Cherry Valley Lodge in Newark, with After Prom following at Coco Key Water Resort. Tickets are a little less expensive than they have been in previous years at $50 a person, and After Prom is $25 per person. It starts at 7 p.m., with the crowning of King and Queen following at 7:15 on the dot. Right after the crowning will be dinner at The Tuscan Buffet, which consists of Minestrone Soup (vegetable soup), Caesar Salad, and Anti-Pasta Tray, Rolls, and the choice of 2 pastas: Baked Ziti, Sausage Lasagna, Pesto Chicken or Tuscan Tortellini. After dinner the dance will be DJ’ed by the same DJ as our homecomings, Shockwave Sound. The whole shebang consists of LED club lighting, laser lights, strobe lights, a fog machine, and a live camera with a video screen so dancers can watch their awesome moves. Northridge Staff would like to remind the student body the importance of being safe on Prom Night and making good choices. In the past there has been breathalyzer’s at the entrance of prom in an attempt to prevent drunk driving. The Coco Key Water Resort, which is connected to the Lodge, features the expected slides and hot tubs. After Prom starts at 11pm and ends at 2am the next morning. Due to the aquatic nature of the late-night party, swim attire is recommended, but attendees should keep in mind some built-in restrictions. Excess skin must be covered, and speedos are not accepted. According to Grow, refusal to respect these rules of body coverage will result in being asked to change/leave without a refund. Grow cannot stress enough that there are NO EXCEPTIONS on when the money is due. The final date for the payment is April 24 at 2:10 pm. Bringing a non-Northridge student is allowed, but a guest form must be filled out prior to the final due date; all forms are located in the office. C-TEC students must mail their ticket order and money to the high school, or drop it off in the office. Any other questions can be answered by Mrs. Grow or your local English Teacher. Also, for make-up, hair, and nail advice, check out Sierra Sullivan’s “Make me a fashionista” column. Wednesday May 8, Student Leadership will be doing a safety routine, and ask that nobody worry. and also grow fast enough to save people’s lives will be the trick. factories. Both ideas would eliminate shipping and taking up space. will become more popular as natural resources start to become scarcer. For mining the moon and asteroids to work, they miners and scientists will need places to stay and work in. The Space Architects will design outposts and labs for the work to be done in. The designers must design things that provide energy, oxygen, water, and proper temperatures for workers to live in, and much more. be spotted, as for aircrafts, and ships. Predicated Year: 2020 “Pharmers” is what is sounds and looks like. It’s people who care for livestock that are raised in certain ways. They have certain antibiotics and hormones in them so they grow in certain ways. Animals will grow bigger and produce more healthy meat. There will be less sickness involved with animal products. to predict the weather more and more ahead of time in the future. extreme weather patterns all together or make it rain during times of drought? the weather is ever certain. unhealthy organs and tissues and not affecting the healthy ones. As more and more new technology is made the more we will need to regulate use of things like robots, and new machines. Consequences from improper use or people just using them for the wrong reasons will need laws for them. Thought Hackers/ Mind-readers:Psychology/Computer Science/Neuroscience. Predicated to be used in Law. future. With technology that doesn’t even exist today in 50 years there may be mind readers. The idea of clone ranching is like raising “blank” humans. Once the clone is fully downloading with skills and personality traits it will be ready to enter society. clones walking among us in society. needs to be funding space exploration. changing and improving, and this may bring a brand new career to you. NORTHRIDGE- With the school year coming to a close, Northridge prepares to say goodbye to the Class of 2013 and welcome the Class of 2026. This year’s seniors will be about 30 years old when these little Vikings graduate. And no, those numbers are not made up. Students, and some adults, can help Northridge Primary welcome these students during Kindergarten Registration on May 3rd. Kindergarten Registration runs from 8:30 to 3:30. Around 45 incoming students are signed up already, typically around 20 are signed up at this time of year, and Northridge is expecting many more to sign up as the date draws nearer. According to Mr. Christopher Blados, Primary Principal, “we are anticipating having four kindergarten classes." Students wishing to volunteer should let Ms. Anderson know as soon as possible, as there are only 15 students needed. These students should have their own transportation to and from Northridge Primary. Aiding with Registration will not count as an absence. Seniors are given priority as well as those with good attendance and grades. In past years, lunch was provided by the school and sometimes eaten with current primary students, most of whom are very happy to see their older siblings, neighbors, or babysitters and tend to show off what they learned in class that day. Students are not the only ones who can volunteer. Parent and community members may assist on this day after passing a background check and being approved by the school board. During registration, the future Vikings are handed to the student volunteers while their parents are given time to fill out the necessary paperwork. The students lead the frightened, excited, or even crying students around the Primary gym to various stations that test the child on their skills that the incoming Kindergarteners need or will gain. Testing for speech, hearing, and eyesight are also among the various stations. 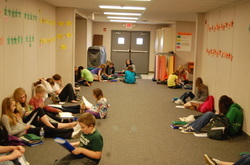 Most of the stations do not require student involvement, but the student volunteers are encouraged to guide the child. Such as when at the eyesight station or hearing station you may be asked (or offer) to go through the tests. Other times, you just need to smile and nod when the younger ones tell you about their pet goldfish who they taught to swim. During one such incident, Emily Hankinson (’13) had to comfort a very frightened child. Who simply got overwhelmed by the scariness a new school presents. Hankinson enjoys “being with the kids. Once they get comfortable with you, they tell you all kinds of funny stories." Other volunteers are much luckier, where the worst child they have wants a cookie before lunch. Students typically assist five or six students, though some may be able to do more depending on timing and luck. The students are not usually divided by gender, but rather which volunteers are available. So a student may get all boys or all girls, or a mixture of both. Either way, the day is exciting for everyone involved. Elizabeth Kallay is a Senior News Editor for The Viking Vault. NORTHRIDGE - With the end of the year coming up, students in the Intermediate school are preparing for their Ohio Achievement Assessments (OAA’s). High school students, through the Big Vike/Little Vike program, are helping fourth grade students prepare for these tests. These students go down to the Intermediate building for forty minutes a day for four days, receiving two and a half hours of community service credit for their time. Two of the fourth grade students involved, Jackson Moore and Ross Teeter, feel that the program will really help the students prepare. Moore thinks, “It will really help a lot, because some of the kids that struggle can use the help.” Both students are very excited for the program, and said that when they are in high school, they would like to participate. There are 19 high school students involved in the program, including Seniors Emily Hankinson, Kacie Tornes, Caitlyn Tulloss, Nathan Wigal, Raven Wolfe; Juniors JP Porter, Sierra Sullivan; Sophomores Ronni Fleshman, Adreona Perkowski; and Freshman Aili Barbee, Josie Bunstine, Jillian Choberka, Megan Dalton, Ashley Dean, Alexis Hannah, Megan Phillips, Hugh Prentice, Jamie Swickard, and Haley Trimble. Perkowski (’15) is very excited to participate in the program. “I signed up because when we were kids, we had Big Vikes. I feel like I should return the favor. It’s good karma.” Perkowski wants to become a teacher after graduation, so she feels that helping out the kids now will be good experience for the future. She enjoys helping out where she can, and wants to make sure that the students do well on their tests. Hankinson (’13) feels that it is a good thing that the kids are involved in the program. She says it is “A good influence for the kids. It’s good that they have someone to look after them.” She believes that some of the kids will benefit from the help more than others, depending on their perspective on academics. The first day of the program was Monday, April 8. The Big Vikes worked with small groups or one-on-one with the fourth graders, helping them with the reading section of the tests. They had the younger students read short stories and answer questions about them. Each Big Vike has a different section of the tests to focus on; some people will be working reading, and others will focus on the math section. The groups also met on April 10, April 15, and April 17 to work. The district’s current 8.86-mil emergency levy is scheduled to expire December 31, 2014, reducing revenue $2.1 million and resulting in a budget shortfall of at least half a million dollars. Putting an issue on in November buys the finance committee, board, and administrators time to explore levy options (some felt an income tax should at least be discussed), and time to mobilize a grassroots effort that would spell success. specifically, the Treasurer Britt Lewis and Superintendent Dr. Chris Briggs –is relatively new and need more time to communicate with voters. Briggs agreed, saying, “As a superintendent, actions speak louder than words.” He went on to say people need time to get comfortable with a plan for revenue. The Financial Committee recommended a renewal of Northridge Schools current Emergency Levy. While discussing the renewal, Board Members suggested that an income tax could be more beneficial to the school district. In the past other schools have set up permanent maintenance funds or levy revenues, however Northridge doesn’t currently have the funds to put one into effect. In the future Northridge may have the chance to put this permanent maintenance into effect if the district voters approve a possible future levy. Currently the joint Middle School-High School roof needs replaced, which would cost the district $480,000-$500,000. This, however, isn’t possible with the districts strict budget. The Finance Committee wants to reduce, and possibly eliminate school fees and pay- to-participate in the near future. With the low budget, this wouldn’t be possible until a levy passed, and the school was out of danger of another fiscal caution emergency. Even though the district is out of this emergency currently, we still have a danger of returning to this state. Although levy options were the main focus of the meeting, there was one other very important issue on the agenda for the night of April 15th. Cheryl Horn’s retire-rehire proposition was approved after an unscheduled visitor made her argument, saying that the proposition had not been advertised or brought to the attention of the public as well as it should have been. However, the board proceeded to grant Horn the position of Music Teacher. Elizabeth Kallay ('13) and Summer Richards ('13) are staff writers for the Vault. NORTHRIDGE - The 8th annual dinner auction was held in the high school gymnasium on Saturday, April 13. The Dinner Auction is held to raise money for the athletic teams of the school. The funds raised last year dropped the student pay to participate fee from$500 to $400 dollars. This occasion is able to happen due to the hard work and dedication of staff members, students and parents, and many generous donations. The donations consisted of many larger auction items plus over 100 silent auction items were donated. There were also many items for the raffle ticket portion of the auction. The raffle tickets were sold by the swim team and soccer players. Thanks to the hard work and dedication of Lori Hebert the night was a success. Hebert spent well over 200 hours planning and collecting donations to insure the success of the Athletic Boosters. “I’m having a great time, and it’s exciting to see so much support for the program” stated Hebert later in the night. The night began when tables were dismissed for dinner, which was served by the football team. The corporate tables were served by the cheerleaders and the volleyball team. Meanwhile drinks were be served by the wrestlers. When asked if he was having a good time Dan Hamilton, Pastor of the Croton Church of Christ, stated “yes very much so." Hamilton also remarked that the Auction was a “very well-done, classy event." After dinner the auction began with the auctioneer, Todd Dodderer, saying “the crowd is the biggest we’ve seen." The large item auction then began. Northridge’s new superintendent, Dr. Chris Briggs, was very impressed with the Dinner Auction. Briggs stated that it was a “great event," and also that he was “impressed” by the student athletes’ involvement with the event. The night was a success for the Northridge Community and will help fund Athletics for the upcoming sports seasons. Photo: Some of the supporters of the Dinner Auction included, left to right, Superintendent Dr. Briggs, Board members Mr. Pokorney and Mr. Dann, Treasurer Mr. Lewis, and Board member Mr. Hart. NORTHRIDGE HIGH SCHOOL-Students at Northridge High School have recently been inducted into the National Honors Society organization. The National Honors Society (NHS), established in 1921, is an organization that recognizes “outstanding” students who demonstrate great skills in the areas of Scholarship, Leadership, Service, and Character. There is also a National Junior Honor Society (NJHS), established in 1929, which also follows these same guide lines, but instead of Character they demonstrate Citizenship. Junior inductees include Jana Choberka, Hayley Curran, Brandon Eckstein, Kaitlin Garee, Marko Jesenko II, Jesse Kanavel, Riley Love, Katherine Pileski, Sara Pribonic, Sierra Sullivan, Ryan Trimble, and Ian Ware. Senior inductees include Elizabeth Kallay, Ryan Johnson, and Erin Rinehart. High school guidance counselor and advisor of NHS, Mrs. Laura Brockway, explained exactly how Northridge is benefitted by this program. First of all, it requires leadership, character, community service, and character. Each student that is involved does twenty hours of their own community service on their own. NHS does service projects, raise money for charities, organize the blood drives and run them, as well as organizing other events. Applying for this organization requires all of the previously listed qualities plus input from your teachers. Brockway stressed that you don’t need to be class president to be a part of NHS. You just need to display good leadership skills in the classroom, which is where your teacher’s input comes into play. Juniors apply for NHS in the spring time. Brockway said that the seniors this year that will soon be graduating were one of her best groups. She goes on to explain that they would come into her office to check on what needed to be done rather than her having to call them down to her office. Recently added students Hayley Curran (’14), Jesse Kanavel (’14), and Brandon Eckstein (’14) all agreed that they’re thankful to be a part of this experience. Eckstein wishes to bring back “Ice cream Fridays” during his time in NHS. While Curran wants to volunteer more to help make Northridge a better place. Kanavel is ready to help with the blood drives and would personally like to thank all the teachers that helped him get into NHS. Currently it is estimated that nearly one million students are participating in NHS and NJHS. Also, this organization has chapters in all 50 states, the District of Columbia, Puerto Rico, many U.S. Territories, and Canada. These chapters acknowledge not only their accomplishments, but also the organization helps members to become active members in school activities and community service. In 1929, reorganization outstanding students by establishing the National Junior Society (NJHS). 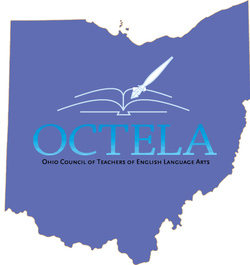 NORTHRIDGE- Three of our high school English teachers, Bethany Morvay, Kimberly Garee, and Kristin Grow attended The Ohio Council of Teachers English Language Arts (OCTELA) in Worthington to present on mentor texts. This conference took place on March 22, 2013. The conference featured the author Ally Condie as a Keynote Speaker and several break-out sessions lead by teachers, administrators, and other educational leaders from all across the state. Morvay, Garee and Grow led one of those sessions with information pertaining to using published writing as a guide for students’ writing. They also gave other teachers packets containing various forms of writing, such as poetry, narrative, memoir, argument, and analysis. These guides contained idea-based, structure-based, and style based ways of writing. Summer Richards ('13) is a staff writer for The Viking Vault. Photo Credit: Octela.org Photo caption: Logo for conference. Are you safe right now? THE INTERNET – You know that photo from spring break, the one you didn’t want anyone to see? You deleted it, right? Did you know that before you did, your “best friend” copied and pasted it to his blog? From there, it was re-posted somewhere else, where your significant other saw it. The one who dumped you last week. Things posted to the Internet are in no way, shape, or form private. As soon as you hit “upload,” it’s out there in “Internet-land” to be seen by anyone who happens to be browsing at the time. Things loaded online are seen by anyone and everyone: significant others, grandmas, favorite aunts, parents, employers, and law enforcement. Even photos that you deleted from your profile can still be accessed if you know how. Someone may have re-posted it before it got removed, or someone may know a back-door program to access deleted files. Even the best privacy settings are no match for the simple copy-and-paste strategy. Facebook saves a record of every post, comment, and photo that you upload. These files can be accessed by anyone who gets into your profile, including your potential future boss and law enforcement personnel, as well as parents if you keep your profile logged in on a shared computer. Many employers are now asking for Social Network (SN) passwords before or during an interview. The Internet is a great place to get to know someone’s character, because it’s what they do when they think no one’s looking. People upload content to the Internet that they would never say face-to-face. They use the monitor as a kind of shield against possible repercussions of doing it in person. An employer who finds scandalous material on a candidate’s profile is significantly less likely to hire that candidate if there is a person of better character available. Law enforcement personnel use SN sites to track down suspects who have fled the area. Charles Scott, an investigator for the Newark Police Department, said his department has tracked down suspects in West Virginia via their SN profile. They leave and send their new location to someone over the Internet, and law enforcement is able to pick it up and find them. While the Internet is a great way to share personal memories and significant moments, it's not the place for everything. Certain things should not be posted online due to the fact that they can and will come back to haunt one in the future. The only way to completely protect oneself from online material getting to places it shouldn't is to not upload it in the first place. So you can set up all the privacy settings you want, but there's always a way around them. What has been uploaded cannot be removed; it's out there for all eternity and for anyone. Also, see the “Extras” page for some online etiquette tips, as well as tips on what should/not be uploaded. As a student, taking the ACT is critical; it is accepted by all four-year colleges and universities in the United States. The ACT is a test that is directly related to what students have learned in high school courses. It consists of five different tests: English, Math, Reading, Science, and Writing (optional). Each test takes a certain amount of time, depending on the amount of questions and the difficulty of those questions. The total fee for the ACT is $35 without Writing, and $50.50 with Writing. Registration for the ACT includes methods by mail, or internet. Online registration is the fastest method; you can find out the dates, times and places that are most convenient for the test-taker. You can register online at www.actstudent.org or sign up to get a mail packet if you have to register by mail. The company only recommends registering by mail if younger than 13 or do not have a credit card or a waiver to pay the fee. After making an account and registering for the most convenient time and place, simply print out your ticket. The ticket is needed when reporting to the assigned room on testing day. Students are split into groups, alphabetically by last name and depending on signing up for the Writing portion of the test. The nearest upcoming test is April 13th, but the deadline was March 8th. The next registration deadline is May 3rd and the test will be held June 8th. That is the last test for the summer until September. These tests are on Saturdays usually beginning at 8am at your preferred college campus. When you sign up for your test date, you can select four colleges that the ACT will send your results to. Additional colleges are $11.00 each. It takes about 2-3 weeks to get your results back in the mail, or you can get online and sign on to your account. You can pick up more information in the High School guidance office or online at www.actstudent.org. Arielle Cottrell (14’) and Marissa Mullen (14’) are staff reporters for The Viking Vault. Photo Credit: k-state.edu Photo Caption: Juniors and Seniors should sign up for the ACT today. NORTHRIDGE - On Saturday April, 13, Northridge will be hosting its eighth annual Athletic Booster dinner auction. The purpose of this Dinner auction is to lower the price of pay to play for student athletes. Tickets to the Dinner auction are $15 for one person admission or $25 for a couple. The Booster Club is a non-profit organization whose goal is to provide sports programs for Northridge students as an important part of their education. The Athletic boosters have also been able to raise money necessary to save the sport programs. The dinner auction has helped many of Northridge’s Athletes by using the Dinner auctions proceeds to reduce the cost for an athlete’s cost to play a sport by $100 for each and every high school athlete. It also lowered the pay to play a sport for middle school athletes by $50. With the Dinner auction making this money it makes sports a real possibility for many of the student athletes. Each of Northridge’s sports teams is responsible for coming to the Dinner auction or for sending some of their team’s athletes to help in the dinner auction. This can include waiting on tables, serving food and drink, helping in the auction, and helping in setting up chairs and tables and also taking them down. One-hundred and fifty parents, staff, and community members came to the Dinner auction last year to support the students of Northridge. Northridge’s students benefited from last year’s Dinner auction which raised over $9,000. This year’s goal is to have well over 300 family and community members. There are several ways to provide support for the auction such as providing an item for the Auction or a monetary donation. There are levels of monetary donations that include green, white and Viking levels. Green level is a donation up to $100, and the donor will receive acknowledgement in the event program. White level is a donation up to $300 and will receive half a page advertisement in the program. Viking level is a donation up to $500and will receive a full page advertisement in the program along with a paid dinner table for eight guests with a personal server. The Athletic Booster Dinner auction is the Boosters largest opportunity to make money. NORTHRIDGE – History teachers at the high school now have different state standards to abide by. In some cases, that might mean a shift in the way traditional history has been taught. Mr. Wentz, for example, has had to stop teaching certain lessons that he was once able to do. Things such as religion and the entire Indian (as in people from India) culture will no longer be taught in his new state standard lesson plans for grade nine. For Mr. Bennett, on the other hand, not too much has changed. He mostly just has to stop teaching pre-civil war era (before Industrial times) to tenth grade American History students. Prior to a switch to new standards, Bennett used to be able to teach topical things like Black History Month. Not doing much of that, however, has partly to do with new standards and partly to do with students not wanting to learn about diversity. “[There were] a sizable amount of kids who turned off to it because they don’t want to want to learn about it,” said Bennett, “not the majority of the kids, but a sizable amount.” Bennett went on to explain that teaching this in his classroom was somewhat uncomfortable because he was met with so much resistance. The Common Core State Standards have been adopted all over the U.S. over the course of the last couple of years and apply to most subject areas. Those standards drive the trend toward new assessments like End of Course Exams that are on the horizon for not just Ohio teachers and students, but for teachers and students across the nation. “There’s a reason behind all these new standards” said Bennett. He then went on to explain that he feels as if there’s a “political agenda” that the state has planned. Bennett elaborated on this by saying he believes state legislators want teachers to teach a more liberal style. History teachers also have to create specific questions for each standard they cover that have to be extended response questions, no multiple choice questions. Bennett says this will probably work out in the long run. Evaluating teachers is also something new. Teachers will be evaluated more often now than they used to be. Bennett doesn’t worry about the standards too much because he says that what he’s always taught fits his standards. As for evaluations, Bennet feels teachers develop the ability to critique their own performance after so many years in the classroom. Wentz also says that these evaluations are the biggest change so far. Neither one of these two history teachers are too concerned, however, because both believe in their abilities to teach their standards effectively. To levy, or not to levy? NORTHRIDGE- As the deadlines loom closer the school board faces a tough decision… try for a levy? Or not? During the March 18th board meeting the subject was debated for quite a while, with most of the talk centering on how much to try for and what the school needed to spend money on. As if to prove financial need, the lights in the primary gym, where the meeting was held, were slow to turn on. With pot-holes littering the parking lots and a roof that needs repairs, the district will soon have to make some tough choices. Safety is an issue with low lighting in parking lots and dangerous lighting on the football fields. Treasurer Britt Lewis pointed out that if those lights come down on our aluminum bleachers, "either the home or visitors side would fry up." The school board decided to further discuss the possibility of a levy during the next board meeting on April 15th and to take care of other non-urgent matters during a meeting on the 22nd of that same month. Both will be held in the Media Center and are open to the public. In other news, current Middle School Principal Robin Elliot has decided to return to the classroom. She will teach sixth grade language arts in the 2013-2014 school year, as was approved by the board. Northridge also faces challenges with technology after losing Technology Coordinator Shawn Wilkoski and always-advancing technology in the world. Board members hope to hire a new technological coordinator with the ability to also teach students in the district. Superintendent Dr. Chris Briggs gave a presentation on last year’s school report card. Northridge Schools was rated excellent again this year with almost all of the schools receiving an excellent. The intermediate was rated effective. Viking Vault. Staff members were recently accused of – and are grudgingly confessing to – harboring a flying squirrel as a class pet for months. kicked off early last month. Garee, who may face suspension if the flying squirrel is not turned over to authorities by April 30, was not available for comment. “It’s unprofessional and unacceptable,” High School Principal Amy Anderson told the Vault. Anderson has no idea how right she is. their pockets throughout the school day. pocket during a lecture in AP History, after which it proceeded to fly around the room. Shore said he paid the rest of the class (in chips) not to mention the incident. Several special nets are stored in Garee’s closet for such emergencies, Shore said. – was actually something slightly more sinister. Due to Rasputia’s gender, several female staffers including Katelin Ashbrook, Marissa Mullen, Gabrielle Evans, Hunter Adkins, Megan Hatfield, and McKenzie Messer claim to have undertaken a toilet training program for the squirrel. “It is not going well," Hossler noted. Anderson in the main office to collect a reward (in chips). 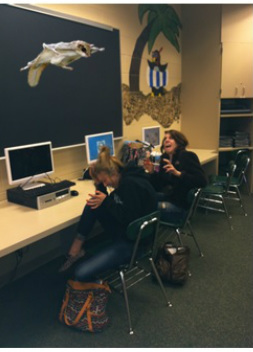 Photo: The class pet likes to exercise during Newspaper class second period, which several writers like Marissa Mullen and Arielle Cottrell, pictured here, have not yet gotten used to. Photo by Megan Hatfield. NORTHRIDGE – Students start art club again with Mr. Kirtland back in the office and plan on making a change in the school community. Art club’s goal over time is to provide opportunity to fulfilling the artistic demands of the student body by utilizing talent and enthusiasm of young artists of the growing community. The students want to improve the community and the quality of students in the community. Their first priority is to get people interested and join. They hope to one day be a completely student-led organization that makes a big difference in the community and the people of Northridge. The high school Art Club has four main goals for themselves: they want to have a large and successful art show; beautify the school, such as a sculpture garden on school property and to repaint the halls; they want to have art workshops for the high school, middle school, and elementary students; and for the art club members to have field trips to places like art museums and nature reservations. The art club has already been involved with the intermediate students and plan on getting more involved with the high school and middle school over time. The intermediate has not had a serious art teacher for two years now, so art club is going in to help out with their artistic needs. High school art teacher Mr. Kirtland said the high school students going to the intermediate is a good experience for everyone. The intermediate students enjoy interaction from the “older kids”, while they high school students going to volunteer learn the lesson that there’s more in life than just yourself and giving back to the community can be fun. Intermediate school helper Mrs. Chambers says that the art club doing workshops with their students is a very positive experience because “everyone really enjoys the experience.” She also says that the high school students coming over to the Intermediate is absolutely a good idea. The intermediate has been taught by Miss Chambers over a television the past two years due to budget cuts. Fleshman said that volunteering at the Intermediate has been a lot of fun, and it’s also helped her realize that she does want to teach, having done this for Art Club and Intro To Teaching Art. NORTHRIDGE- The Licking County Sheriff’s SWAT team spent Feb. 15 going over and revising the Northridge safety plan with teachers and faculty. The school has recently upgraded its security standards and procedures at the school by installing “buzz in” cameras at the main entrances of the school buildings. These enable staff to see who is at the entrance before they are let in. These plans were already in place but were sped up after the Sandy Hook, Connecticut shooting. These steps are considered necessary in today’s world. When SWAT team officials were asked why it is necessary to prepare our schools for a possible shooting they stated, “Watch TV, it’s happening." The security update has been in the planning stages since last summer. The school staff and deputies were able to get together, update and improve the school’s security. The Sheriff’s office believes the added security is a good step and a “physical fix, but a true fix is mental”. Student and faculty can help prevent these types of catastrophes by “acting”. Students and staff should report any type of strange activity to the proper authorities. The Northridge community is home to many hunters and outdoorsmen who own weapons. In an emergency situation, a concerned parent going inside of the school can be a hindrance on law enforcement officers. A parent attempting to help could put their own well-being and that of others in jeopardy. Some people ask why there aren’t resource officers in the schools anymore. There is a lack of funds to put Resource Officers in the schools. The Sheriff is working on restoring Resource Officers to schools. A SWAT team officer stated “the Sheriff would love to see that” (referring to putting officers in schools). The Northridge staff remarked how professional and skilled the SWAT team was. The staff noticed how quick officers were to react and their high level of perception. Mrs. Garee the junior English teacher simply said “They were really on top of it”. Due to the determination of school staff and local law enforcement, Northridge is a much safer place for the shaping of young minds. Zach Hossler(’14) is a Staff Writer for The Viking Vault. NORTHRIDGE – More opportunities for learning at all levels will be available to high school students next year, according to Principal Amy Anderson. She told the School Board at their Feb. 19th meeting about opportunities for students to take APEX, dual enrollment, and even a C-TEC lab. APEX is a digital learning, credit recovery program that is already being offered this semester but may be expanded next year to include honor courses. Though it offers students a chance to graduate on time, Anderson was clear that it is “not a crutch” to enable students to fail courses initially. APEX is not only NCAA and College Board accredited, but Board member Mark Dann believes it to be “the wave of the future”. Dual enrollment courses are being offered at just a $20 application fee. Students will receive credit from not only COTC, but Northridge as well. With the dual enrollment courses being offered at Northridge instead of on COTC’s campus, students will save money on gas and on car repair expenses. The results in 2010 stated that “59% [of Northridge graduates] had to take remedial math when going to college." These math courses will be offered to all students with an average understanding of math. In September, Amy Anderson met with the superintendents of C-TEC, Utica, and Johnstown about the possibilities of having a C-TEC computer lab in Northridge High School that will be offered to the students all across Licking County. Northridge officials also commented at the board meeting about the state's funding plan for schools. Superintendent Dr. Briggs and Treasurer Britt Lewis had a meeting and both expected poorer districts to see more money, and richer to see less. However, the exact opposite occurred. Lewis stated that Northridge Local Schools are at the “higher end of richer school districts." Northridge will soon be having all day, every day Kindergarten. Briggs believes the district's youngest students will benefit greatly. Briggs also spoke of adding Flying Colors pre-school into the Primary building which allows for a seamless transition for youngest students to school. This year’s Kindergarten Registration will be held on Friday, May 3rd. Northridge is also excited to have hosted Power of the Pen on Feb. 22nd. Northridge hosted students for 20 districts and is one of only two districts from Licking County. The board spoke briefly on the recent security updates before entering an executive session to discuss security arrangements in detail. The board would also like to note that the Northridge School district being investigated by the state is not our district, but rather Northridge Local Schools in Montgomery County. Summer Richards ('13) is a staff writer and Elizabeth Kallay('13) is the Senior News Editor for The Viking Vault. NORTHRIDGE – Students of all ages experience bullying. Bullying has become an issue at Northridge not only in the high school, but also in the middle school. Due to the rise in school related bullying and harassment incidents, all schools are required by law to investigate all cases of bullying. Cyber bullying, a newer form of internet bullying, has stricter laws here in Ohio. The Jessica-Logan Law was enforced in 2012 after a student in Cincinnati, Ohio committed suicide after experiencing cyber bullying. This law requires schools to thoroughly investigate all cases of cyber bullying. Although there is no correlation between the bully reports that teachers fill out when they see something happen and the state, these bullying reports help give principals like Mrs. Anderson and Mrs. Elliott a better knowledge of what is actually happening to their students. All bully reports are to be documented by the school in order to help track cases of bullying in a more orderly way. In the high school, if there is a case of bullying, the office will follow up on the report. Mrs. Brockway, high school guidance counselor, wishes that the high school could have a mediation program. She understands the difference between just joking around with a friend and actually bullying someone, and although she is a busy woman, she makes sure to call kids into her office and allow them to calmly talk things out. Brockway believes the roots of a bully start at home. The middle school does have a student leadership program starting up, though, which will have about 12 or so kids participating. The program will have a focus on anti-bullying; creating ideas, posters, and potential events to help encourage other students not to bully. To anyone experiencing bullying there are ways to get help. There is an anonymous online bully report you can fill out at http://www.northridge12.oh.us/ ,but, do remember if you opt for anonymity, administrators will be limited in their ability to get needed additional information to deal with the problem. NORTHRIDGE - January 11, 2013 marked the first meeting of the Fellowship of Christian Athletes here at Northridge High School. The group is student led and organized. 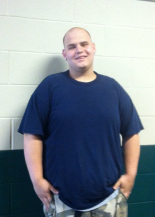 Senior Brady Charles, who recently enlisted in the United States Marine Corps, is one of the faces for the F.C.A. "I keep God close to my heart, and this is my calling to spread the love" says Charles. "I gave myself to God last summer, and this is my chance to share his word with the people closest to me". The main goal of the F.C.A. is to help those who have not yet heard the word of Jesus Christ have a laid-back opportunity to learn in a friendly, judgment-free environment. It is also for those who have found God to have the opportunity to let His love grow. One common misunderstanding by the student body is that only athletes are invited. All are welcome and no one will be turned away. Charles believes "this is a chance for God's name to travel through the hallway without it being used in vain for the first time in quite a while." 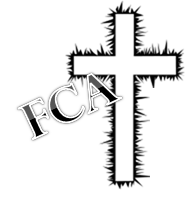 The Fellowship of Christian Athletes meets every Friday at 7:00a.m. in Mrs. Grow's room, 118. NORTHRIDGE - New security systems and procedures are being implemented in 2013, including access control systems (ACS) at doors, revising/altering emergency action plans (EAP), and the potential hiring of a School Resource Officer. These procedures were in consideration before the new year, but were put on higher priority after the tragedy in Connecticut. "Our ultimate goal," says principal Amy Anderson, "Is the safety of students and staff." Of the new implements, the most noticeable are the ACS systems located at the entrances to the buildings. These systems are in place in order to give the staff the chance to separate and isolate a potential threat, before said threat is able to cause harm. These systems, when activated, send a picture of the person requesting entry to the front office, and also open a two-way communication. The person(s) requesting entry is then asked to identify themselves and their purpose. After being 'buzzed' in, the person(s) are to report directly to the front office to sign in and receive a visitor pass. Security chief Wayne Howard is responsible for writing the EAP, in collaboration with Anderson. As of right now, the procedures themselves will not be changed, but the methods by which they are activated will. Rather than announcing "Teachers, please go into lockdown at this time," the system will use a color-code to address possible threat conditions. Building Condition Green would be the equivalent of a normal day, Yellow would follow 'secure room' procedures, and Red would initiate a full lockdown. If this becomes the normal system, in the event that a threat does enter the school, she/he will not hear "Lockdown" and know that his/her presence is known. "In order to be safe," says Howard, "Lockdown procedures must be followed. Unfortunately, this causes 'ill-mannered' actions, such as lock-outs." However, this is unavoidable, as allowing entry during a lockdown could potentially only make the situation worse. The hiring of a school resource officer (SRO) has also been taken into consideration. Licking County has been forced in the past to pull the SRO's from school for use on patrol, due to limited resources and personnel. Now, Northridge hopes to be able to replace a SRO in schools with the help of a grant. However, the district would likely be expected to pay approximately $45,000 to cover costs. Howard, the current chief security officer, receives no additional pay for his security services. Contrary to popular belief, SRO's do not spend their entire day sitting around. In other districts, they are often busy reacting to violations of the law within the school building. But their presence as a visible law enforcement officer is beneficial not only in the event of a threat, but it also provides a venue for students to report suspicious or dangerous activity. "The best thing we can do for our own safety," says Howard, "Is be observant, follow the rules, and report any suspicious or dangerous activities. We are all responsible for the safety of the school." There will be a piece present in the next issue regarding an in-school staff training that is scheduled to happen in February, which will demonstrate and evaluate the procedures to be followed in the event of a threat to the school. NORTHRIDGE - Newly hired Superintendent Dr. Chris Briggs says the staff, administrators and even students have welcomed him to the district with “open arms” since he officially started in his new role on Jan. 14. Approved by the board on Dec. 17, following an open interview process that drew 28 candidates from across the state, Briggs comes to Northridge at a time when priority one is financial security. To that end, High School Principal Amy Anderson notes Briggs’ work on several successful levy campaigns is certainly one of the greatest assets he brings to the district. With the emergency levy ending soon, even more stress will be placed on an already super-tight budget. Briggs told The Viking Vault he is “extremely excited, humbled, and honored to be a part of Northridge.” Living just 15 minutes away, he plans to be a real part of the community in general as a visible “good communicator, listener, and someone who has the students’ best interests in mind.” In addition, Briggs feels he brings strong people skills and instructional leadership skills to the district. 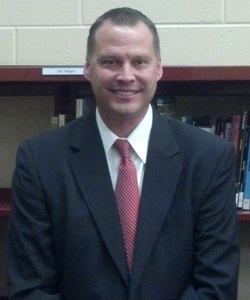 After deciding in high school – due to “teachers and coaches who influenced [him]” – that the educational field was the place for him, Briggs attended Muskingum College, earned a Masters degree in Education from The Ohio State University, and went on to complete his doctorate at Nova Southeastern University. He spent nine years at Southwestern City Schools in classroom and administrative roles, was principal at Hamilton Township High School for eight years, spent another eight years as principal of New Albany Intermediate School, and was most recently serving as an Executive Director at Columbus City Schools. He has experience working with special education students and even as an athletic director. Briggs will earn $115,000 annually as Northridge’s superintendent. What might high school readers be interested in knowing about their new superintendent? For one thing, Briggs says he plans to be in the hallways and classrooms, a visible presence during and after the school day. Having been a high school principal, he said he enjoys high-schoolers and even would like to speak in classes about the political process. He has an identical twin brother who is an elementary teacher, and Briggs is the father of a 12-year-old son and 10-year-old daughter. He loves sports and played college baseball. Summer Richards (’13) and Kierston McCoy (’14) are both staff writers for The Viking Voice: Write from the Ridge. Photo credit: Northridge home page (www.northridge.k12.oh.us). NORTHRIDGE-- At the start of the second semester, our high school is publishing a newspaper, The Viking Vault "Write from the Ridge." The paper will be advised by Mrs.Garee with some help from Mrs. Morvay. This newspaper will be online so it can be accessed by anyone and make the most of its ... non-budget. It will be available beginning February 4th, will include a new issue every three weeks, and is recommended to anyone who is interested in learning what is going on "Write from the Ridge". Most small high schools do not have the privilege of having a newspaper. Newspapers inform, expand, and and express thoughts in the minds of both staff and readers ... something the Vault's staff learned in their fall semester of Journalism. The twenty-one students who enrolled in the class cut their journalistic teeth on some hard-hitting "practice" stories that also brought laughs, such as "Meddling kids ruin lunchroom microwave" and columns like "Pajama jeans: the pants of the future." They only hope their up-coming published stories can be so compelling. Garee, who started the phenomenon, says she thinks the paper will "be a big hit" because of the quality of writers (and their collective sense of humor). The Vault's staff includes seven editors and fourteen staff writers ranging from sophomores to seniors. Names, titles, and bio's are available by clicking on the Staff Page above. Most students weren't aware the newspaper was getting ready to come out ... which the staff considers further proof that they need to keep their peers better informed about things in general. Yet, Haley Menix ('14) has known for quite a while. "The newspaper sounds like a great idea, because I'd like to know what else is going on at our school," Menix says. Danielle Salamone ('14) is not on the newspaper staff but still believes the newspaper is a great idea. "We never have had a paper before so I feel like it will get a lot of use!" She says it's good to know what is going on at our school. Since it's online and students do not have to pay for it, she says it is "a lot more efficient". NHS journalists plan to cover school events like sports, activities, and academics, as well as broader interest topics such as reviews of movies and music. Look for fun features like horoscopes in the future, as well. Above all, the staff asks for patience as the student-run production tries its journalistic wings for the first time and experiments with the best way to accomplish their primary goal: to be the voice of the Ridge and, hopefully, at times, an agent of change where change is needed. Marissa Mullen and Arielle Cottrell are Junior Reporters for the Viking Voice.